This 14-Piece Trisha Yearwood Cookware Set comes straight from the award winning country music star and Food Network host. This shiny copper colored set can look great in almost any kitchen and serves up fabulously flavored food. The metals aluminum non-stick ceramic cookware set is designed to be lightweight but still provide strength and durability. The pots and pans are coated on the inside with Thermolon healthy ceramic, non-stick coating. Thermolon is PFOA-, lead- and cadmium-free. The clean non-stick coating allows you to use less fats and oils while still achieving superb searing and frying. The coating provides excellent food release and easy clean up. The copper cookware set has ergonomic Bakelite handles for a comfortable grip. The cookware is easy to use in the kitchen. This set includes skillets and saucepans, along with a stockpot with glass lids and matching utensils. Trisha Yearwood Precious Metals Aluminum Non-Stick Ceramic 14-Piece Titanium Cookware Set:Trisha yearwood titanium-colored aluminum 14-piece setCoated with Thermolon healthy ceramic non-stick coatingComfortable bakelite handle This 14-Piece Trisha Yearwood Cookware Set comes straight from the award winning country music star and Food Network host. This shiny copper colored set can look great in almost any kitchen and serves up fabulously flavored food. The metals aluminum non-stick ceramic cookware set is designed to be lightweight but still provide strength and durability. The pots and pans are coated on the inside with Thermolon healthy ceramic, non-stick coating. Thermolon is PFOA-, lead- and cadmium-free. The clean non-stick coating allows you to use less fats and oils while still achieving superb searing and frying. The coating provides excellent food release and easy clean up. The copper cookware set has ergonomic Bakelite handles for a comfortable grip. The cookware is easy to use in the kitchen. This set includes skillets and saucepans, along with a stockpot with glass lids and matching utensils. Bought a set of Hinkle, twice as expensive, this is better, lighter, and perfect for our motorhome . Love the set of cookware. 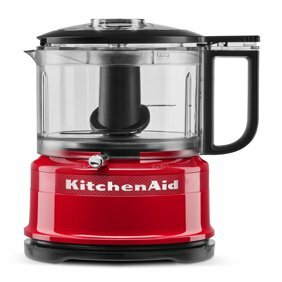 Easy to clean and I love the glass lids, easy to see what you are cooking. Great value. I bought this set in store to replace my collection of various brands and types of pans. It had everything I was looking for. Its thicker aluminum so it carries heat better and has a nice weight. The skillets even have the "double bottoms" where theres extra metal there instead of just one solid piece thats been bent into a pan shape. The ceramic is very nonstick, like you would expect of new pans. I have been, and only plan to, use only nylon, silicone, or wood utensils and tools in this as suggested. I also only hand wash with a soft cloth and warm soapy water, being careful not to knock them around. I store them stacked with a cloth between them to keep them from knocking and scratching eachother. All things I would highly recommend. The glass lids dont have vent holes, which doesnt bother me personally. The only part that does is that the largest lid is too small for the 10 inch skillet. Not that its a deal breaker, just something to be aware of. The sizes of the pans are good for me. It comes with the typical 1 qt and 2 qt saucepans with lids, 5 qt stockpot with lids, 8 inch and 10 inch frying pans, and a 3 qt saute pan with a lid. I am very pleased with the Tricia Yearwood Cookware. Very heavy duty, beautiful and clean up is a breeze with the ceramic non-stick thermalon coating. 100% satisfied! Did not receive the 5 quart lid on both sets. They were not in both boxes I ordered. The set was great at first. But after a few uses I noticed that the coating on the inside of the pots began to chip off when being used. I had always been very careful and made sure that I hand washed all the items and did not use any metal utensils when cooking. I have been very disappointed with this purchase and this was the first time I had used the Trisha Yearwood collection. I have now decided to purchase another competitors collection of cookware to replace this set. lids don't fit frying pans says dw safe but book tells you not to put in dw sizes are a bit funny small saucepan is not tall enough says only good to 360 degrees seriously????? NOT broiler safe These are to be used for cooking right??? ?